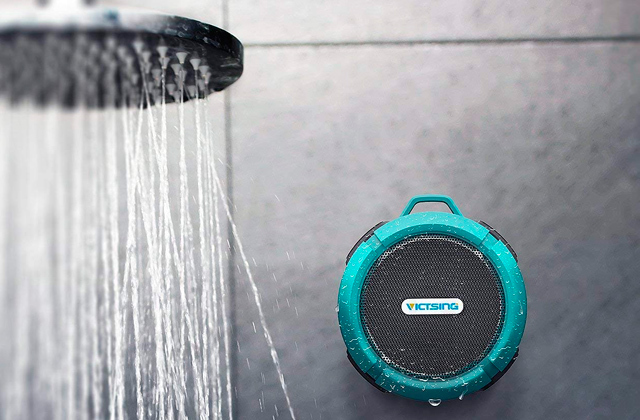 This model is made of non-absorbent scratch-resistant glass, which is more durable and can be wiped clean even if the writing stayed on for a while. The edges are quite sharp, some customers have even cut themselves while mounting the board. 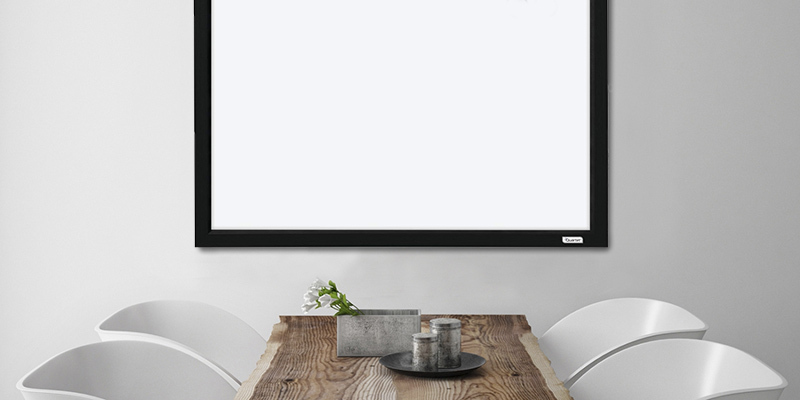 This is a large, frameless board that's going to be perfect for office meetings and brainstorm sessions. Its sharp edges are a bit of a hazard but mostly for kids as we hope grown men and women aren't going to run into them. 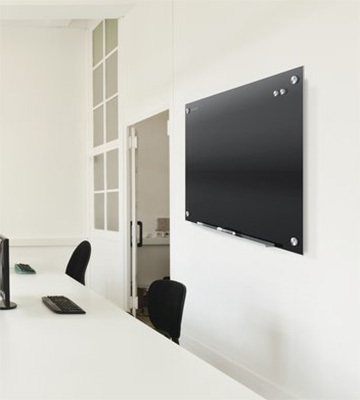 The board has a pass-through mounting system, blending in a stylish office space. This board is ultra-thin thanks to the aluminum frame and can be hung in a matter of minutes as it uses loops instead of brackets. The magnets aren't smooth to the touch and emit scratchy noises when moved around the board's surface. The sturdy OPDEB board is easy to hang up, as it's mounted on loops instead of brackets, and even easier to take down. Plus, it doesn't bend with time and is quite scratch-resistant. So if you want a durable and portable whiteboard that you can move from classroom to classroom - choose the OfficePro OPDEB. You can choose the color of the frame from a huge range so the board will fit into any room's design. The market dries out pretty quickly. If you want your whiteboard to blend in with the rest of the interior, you can't go wrong with the Quartet MWDW1723M-BK. 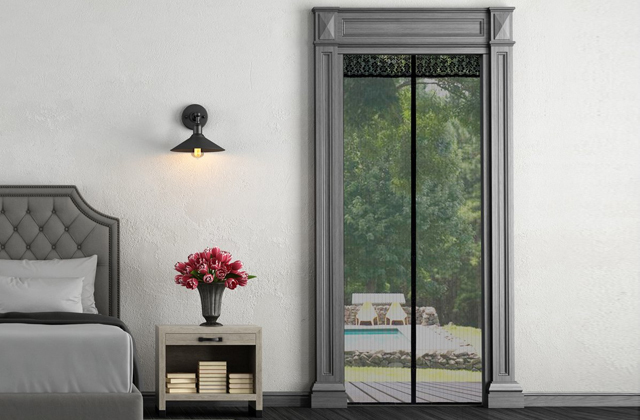 The frame on this model comes in a wide color range so it won't look out of place in any room. And, of course, it comes with a set of handy accessories so you can start writing right away. A solid and pretty reasonably priced choice. 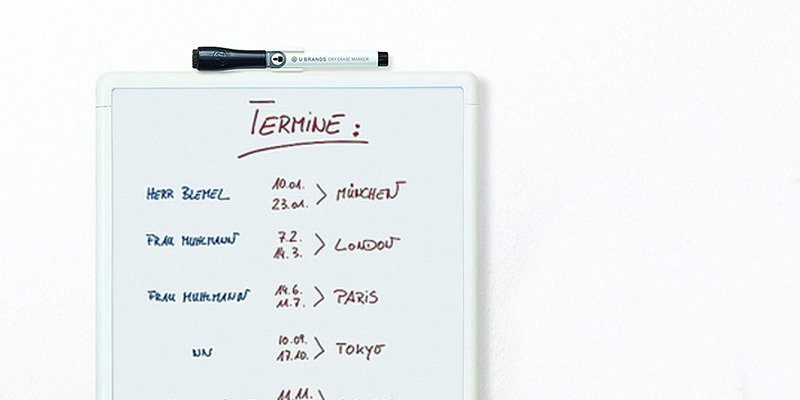 You can leave writing on the board for up to 40 days and it will still wipe off easily. The magnetic back is quite strong so you may have trouble dismounting the board. This board is a bit different from others as it's mounted via its magnetic back and thus serves as a fridge decoration. 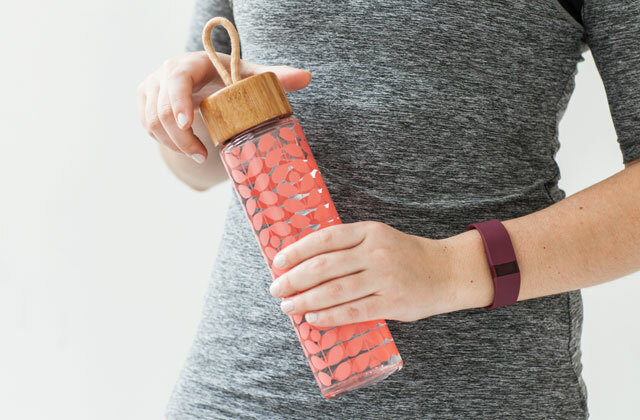 It's perfect for writing down grocery lists and reminders to your family to do chores or go to appointments. 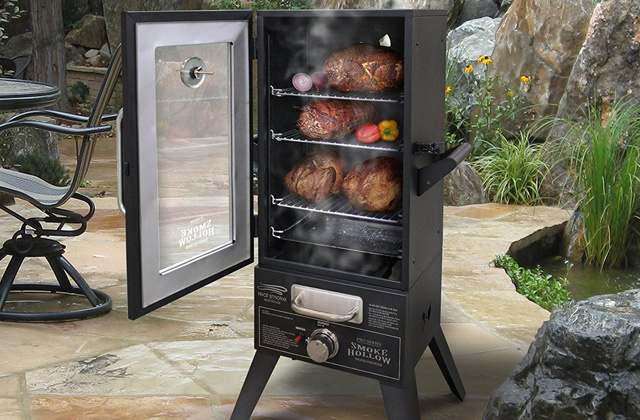 While it's quite small, it should be enough for a family to use comfortably. Good choice for your home! You can use the complimentary cork magnet to pin things to the board without scratching it. You'll have to wipe the surface with a wet paper towel from time to time to fully get rid of the writing. 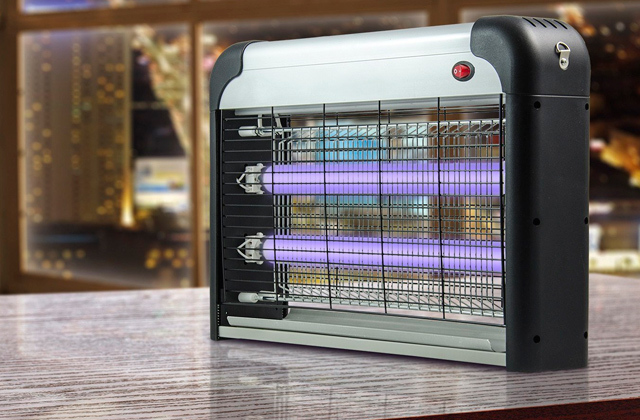 A compact and portable board that can be mounted or left free-standing, the U Brands model is a perfect addition for an office as well as your home. 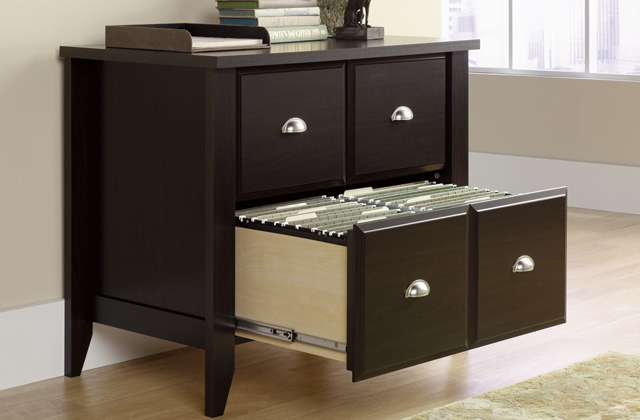 It's a small place to leave important notes, photos, or documents, so you won't ever forget them. 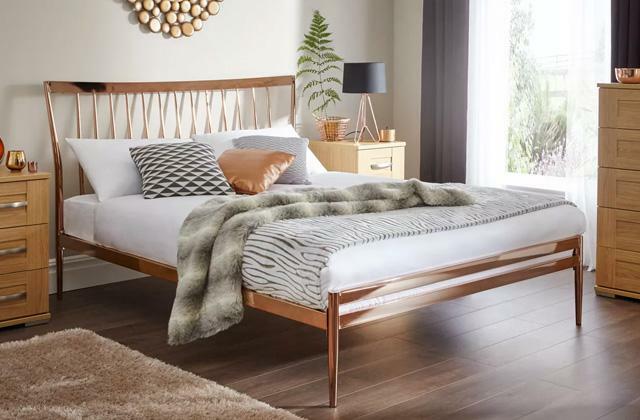 This is a budget-friendly all-purpose choice. Want a stylish board for your office that will stand out with more than just color? Take a look at the Quartet G3624B, a sleek and frameless dry erase board that’ll be the perfect stylish addition to any official meeting. This model is made of non-absorbent scratch-resistant glass. Not only will the board look pristine after years of use without so much as a single scratch. It will also be easy to clean even if you tend to leave writing up for weeks at a time. 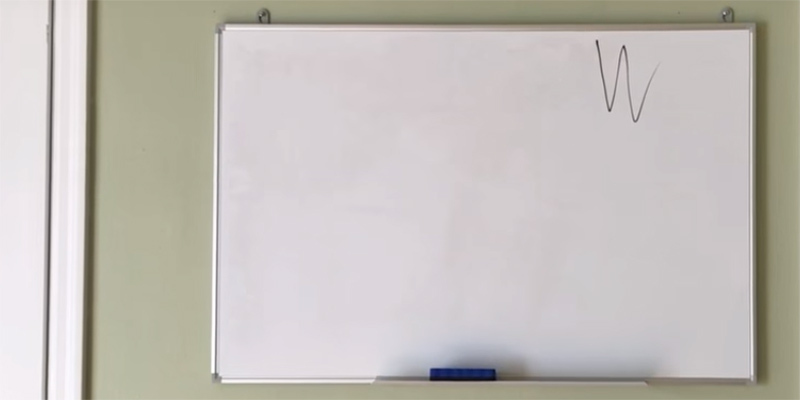 Since the surface of the whiteboard doesn’t absorb anything, the letters can be wiped away with a single pass of the eraser. By the way, you will have to buy that accessory separately, which is a bit surprising since high-end models should have it in the kit. One of the few points of contention with the Quartet G3624B is its mounting method. Some people love the smooth look it has thanks to pass-through bolts keeping the board hanging. But some complain that it makes mounting a bit difficult and leaves unappealing apertures in the wall should you ever decide to take the board down. The choice is yours, of course, but we feel like a magnetic dry erase board isn’t the kind of thing you’d move around anyway. Lastly, we should mention that the Quartet G3624B may not be the best fit for home use, especially if you have kids or even a toddler. The edges of the board are pretty sharp and you could cut yourself on them if you don’t pay attention. So if you do get it for your home, put it up high where the child won’t be able to reach it. 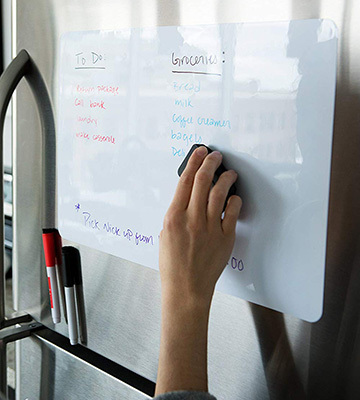 While the Quartet G3624B black dry erase board is by no means perfect, it’s a high-quality board that will make for a great addition to any office, especially one where the employees often brainstorm ideas and need to write them down. Not every dry erase board has to be huge and heavy, sometimes a modestly-sized writing space is more than enough. If you want the latter type, choose the OfficePro OPDEB. This ultra-thin and lightweight model might not take up too much space on your wall but it’s just as sturdy as its bigger counterparts. The board’s aluminium frame doesn’t add much to its weight yet it’s guaranteed to keep the OfficePro OPDEB straight even after years of use. The frame also has a built-in accessory tray in which you can keep 3 magnets, a pen, and an eraser. Why did we give such a specific list of things? Well, those are the accessories that you get for free with the board! More than enough for a good stationery kit. We do have to say that the magnets in the kit didn’t feel too smooth, which may become a problem down the line. Non-smooth magnets might leave scratches on the board’s surface, which will leave your OfficePro OPDEB looking pretty bad in a year or two. So either get a replacement set or use the standard one carefully. 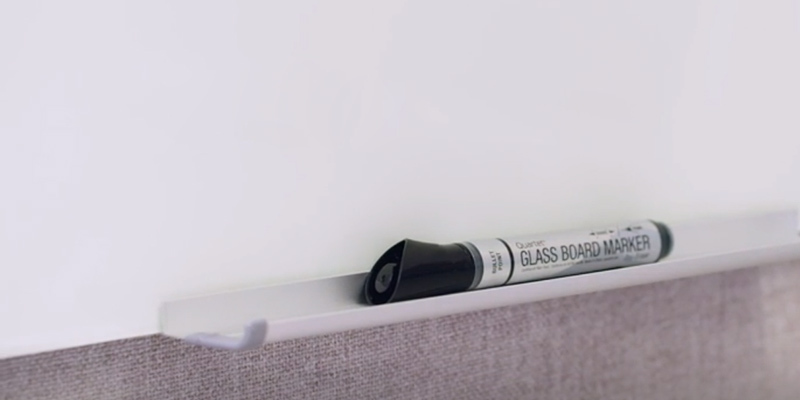 Though the OPDEB is a bit more resilient than a standard glass dry erase board. On the plus side, the OfficePro OPDEB is very easy to hang as it’s mounted on two hooks. That way it can be moved easily and doesn’t take a professional to install. In the end, the OfficePro OPDEB is a good choice for any environment including schools and homes. 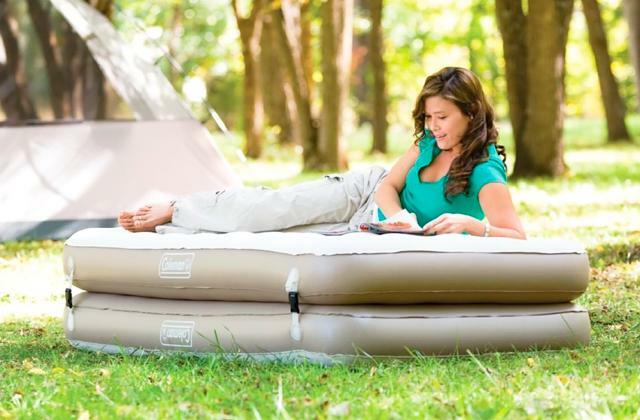 It’s a lightweight, easy-to-install model that’s still offering high quality. Looking for a board that will mesh well with the interior in your office but all you find are white models with metallic frames? As always, we’ve got your back. 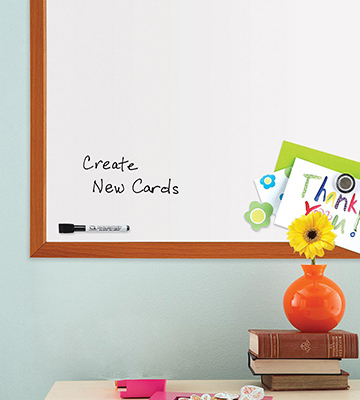 Try the Quartet MWDW1723M-BK, a dry erase board designed to fit into any room. Sure, the surface of this model is still white like most of its competitors. However, you can choose any color for the frame to make sure it blends with the rest of the furniture. Oh, and by the way, the frame is wooden, which gives this board a refined look that’s just not going to happen with cheap metallic models. 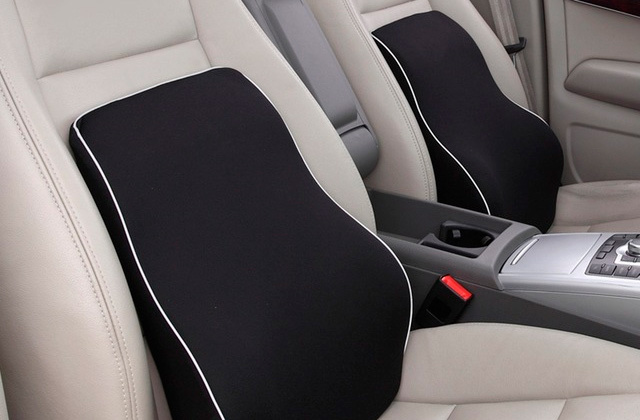 When you buy the Quartet MWDW1723M-BK, you get a set of complimentary accessories. While we have no complaints about the 2 magnets and the eraser included in the set, we didn’t really like the marker. It dried out way too fast and certainly seemed a bit cheap compared to the otherwise excellent set. It’s probably important to mention that the Quartet MWDW1723M-BK only comes in one size and isn’t all that big. 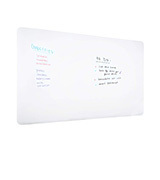 This board would work best as a home accessory or a place to write down your personal thoughts. 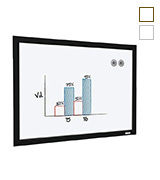 It may just be a bit too small for presentations in large offices but it's definitely a wonderful choice if you need a dry erase board for kids. So if looks are important to you, don’t hesitate to get the Quartet MWDW1723M-BK. 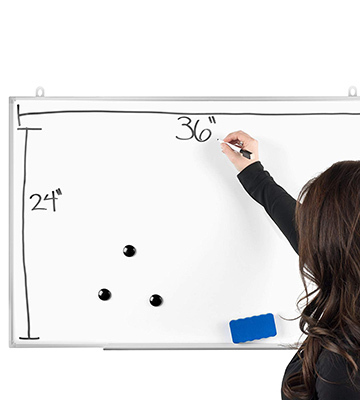 It’s a small whiteboard for personal use that will fit in any home or classroom. Frequently have to leave important notes up for a long time but worry that you might be unable to wipe them off of your board later? Fret no more as the Cinch! 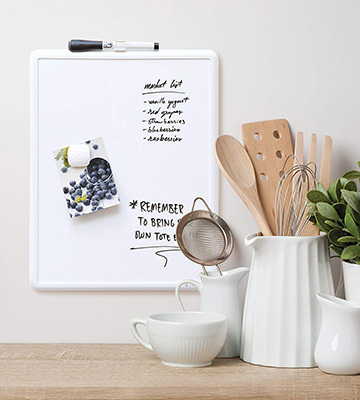 17x11 board is designed to hold writing for a while without letting it stain the surface. A single swipe of your eraser will always be enough to clear the board even if you take up to 40 days to wipe off something you drew. And you won’t even have to buy that eraser yourself as it’s included in the complimentary kit along with 4 colored markers. The latter, of course, make this a great choice for color-coding more important tasks, like writing the urgent notes in red while leaving grocery lists in a mild blue, for example. 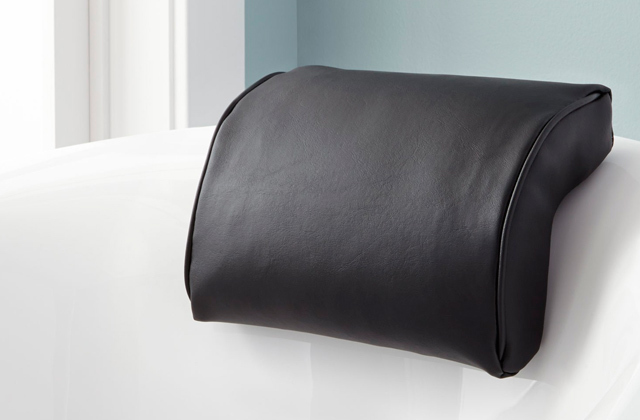 We like how stylish the Cinch! 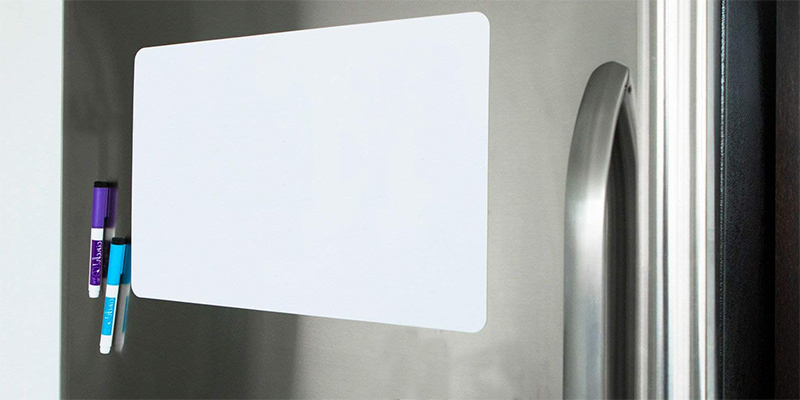 dry erase board seems thanks to its frameless design. It’s also nearly flat against the fridge once mounted because it’s hanged by its magnetic back. Don’t worry about the board falling as the magnets are strong enough to support its weight fully. In fact, you should be more concerned with how you’re going to take the board off because it clings to the refrigerator really hard. We also admit that the magnetic mounting limits the Cinch! 17x11’s uses but it’s still a perfect way to leave notes for your family. The board leaves no traces on the appliance and doesn’t take up much space. Keep your communication easy with the Cinch! 17x11! Creative people know the pain of their work desk drowning in post-it notes and memos, cluttering up the workspace. 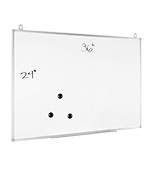 However, that problem is quite easy to solve with a magnet board like the U Brands 251U00-04. 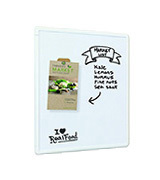 This handheld model is one of the most convenient mini dry erase boards out there. You can use the Pin-It cork magnet that comes with the purchase to attach photos, drawings, or notes to the board. 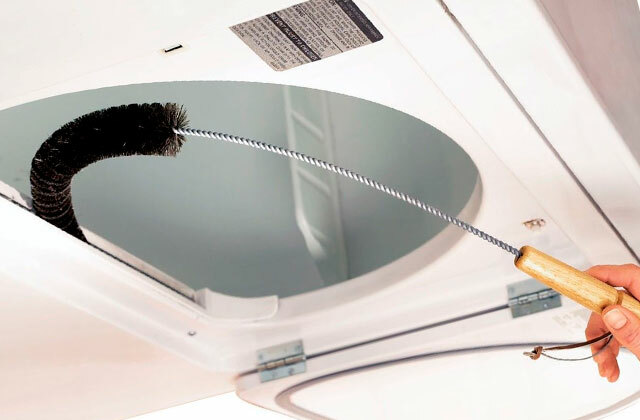 Since the magnet isn’t made of rough material, it will never scratch the board, leaving it in pristine condition. Actually, even a regular magnet wouldn’t damage the board much since the surface is made of actual steel. Despite that, this model is quite lightweight and perfectly portable. Along with the board, you also get a market and an eraser so you can start writing right away. However, don’t leave the doodles on the U Brands 251U00-04 for too long. If you don’t wipe it off in a few days, you might have to use a wet paper towel to scrub off the writing eventually. Of course, a board of this size might not be to everyone’s liking but it’s a good interactive spot to take down your thoughts and ideas. It’s equally suitable for a student and an office worker since you can both keep it on your wall or laid down on the desk. What Is a Dry Erase Board? 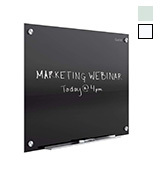 Odds are you probably already know full well what a whiteboard or dry erase board is. 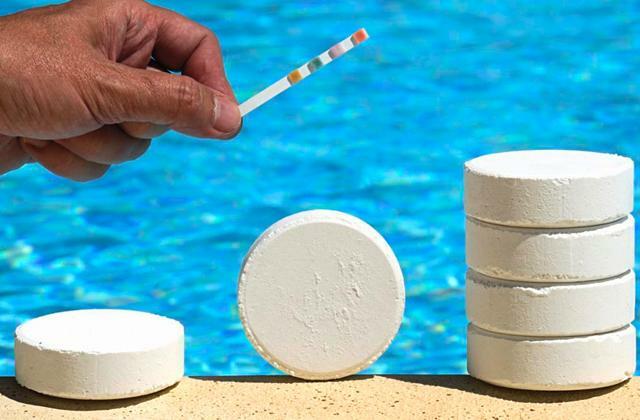 After all, we’re not about to delve into the science behind the product and how it was invented and all that. So let’s just leave it at a simple explanation: a board like this is a place to write down your thoughts, draw illustrations that complement your speech or presentation, or simply doodle while you’re bored. It can be a powerful learning tool, an essential piece of office equipment, or simply a place to pin the shopping list so you don’t forget about it. Most of the models available on the market are magnetic so you can stick things to them via small magnets, including notes, documents, scheduled, and so on. Honestly, the more we describe these things, the more appealing they sound! Who would’ve thought that a simple board could be so multifunctional? If you’re now as excited about these products as we are and itching to get another taste of greatness, head on over to our whiteboards review. Or if you’re not that interested in writing but love the idea of sticking important things up high where you can see them, do check out some magnetic boards that will help you do exactly that.